Rahul Varma is a playwright, artistic director, essayist and an activist who migrated to Canada from his birth country India in 1976. In 1981, he co-founded Teesri Duniya Theatre, which is dedicated to producing socially and politically relevant theatre examining issues of cultural representation and diversity in Canada. Rahul became the company’s artistic director in 1986. 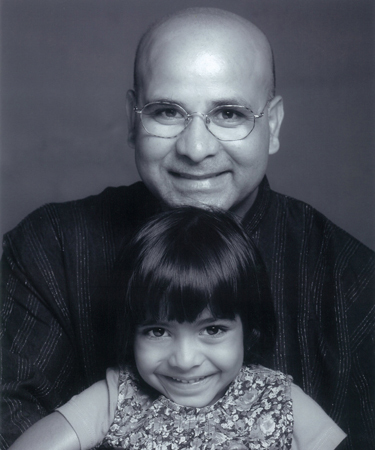 In 1998, with Kapil Bawa, he co-founded the theatre quarterly alt.theatre: cultural diversity and the stage, which is now headed by Editor-in-chief Dr. Edward (Ted) Little. Rahul is a member of the editorial board. His articles have appeared in alt.theatre, Canadian Theatre Review, South Asian Popular Culture, anthologies, and various other collections. He writes both in Hindi and English, which is the language of his adulthood. Rahul’s early Hindi plays Bhanumati Ka Pitara and Ghar Ghar Ki Kahani were written and performed entirely for the Canadian South Asian immigrant community. He made his first forays into English language with a series of one-act plays that included Job Stealer, Isolated Incident and Equal Wages. With Land Where the Trees Talk, in 1989, he turned his attention to the creation of full-length plays. His other full-length plays include No Man’s Land, Trading Injuries (radio drama), Counter Offence, Bhopal and Truth and Treason. Counter Offence has been translated into French as Lâ Affaire Farhadi and in Italian as Il Caso Farhadi. Bhopal has been translated into French with the same title and in Hindi as Zahreeli Hawa by India’s pre-eminent artist Dr. Habib Tanvir. Currently he is working on a new play called Unusual Battleground scheduled to premiere in 2012. This play is about genocide and atrocity crimes relating to Rwanda and Armenia. Set in present time in Iraq and the US. It is fictional not a documentary play. Set in present time in India and the US. Based on the world’s worst industrial disaster that happened at the Union Carbide pesticide plant in Indian city Bhopal, the play is a fictional account drawing attention to human attitudes that result 20,000 dead and counting. The characters are American CEO, Canadian social worker, Indo-American boss, and a range of Indians giving us a peek into the hidden side of globalization. (Hindi translation of Bhopal by iconic Lt, Habib Tanvir. Shapoor, a deported wife-beater returns back to Canada to apologize to his wife and clear his name, only to be found dead in his hotel room. While trying to solve who killed Shapoor, Counter Offence explores an explosive situation â struggle to end violence against women vs. struggle to end racism. French translation of Counter Offence by Pierre Legris. Set in present time against the backdrop of Quebec separatism from Canada. Trading Injuries is radio version of No Man’s Land with emphasis on abusiveness of the workplace for immigrant women trapped in sweatshops. It was aired on CBC radio drama series. Huge chunk of native land has been appropriated by the government for hydro-electric development. Cutting the mountain and reversing the flow of the river has caused mercury poisoning and native children are dying. Natives of the area, headed by their chief, blockade the road to prevent environmental degradation and prevent further deaths from mercury poisoning. Land Where the Trees Talk is a play about native rights in face of institutionalized dispossessions. This one act play was written to mark the first anniversary of shooting death of Anthony Griffin, an unarmed black teenager, at the hands of a Montreal policeman. The play is fast paced and uses elements of Indian street theatre. Job Stealer was inspired by 1987 incident when about 20 Tamils from Sri Lanka landed on the shore of Newfoundland and asked for political asylum. It is a fast paced play that picks up crucial aspects of challenges, hopes, and conciliation of immigrant work-force.